In observance of the International Day for Biological Diversity, we are sharing this article with you. Earthniversity wishes everyone a peaceful and progressively green new year full of love and innovative ideas to preserve and conserve our planet Earth. Photo credit: Henry C. Libo-on at Horseshoe Bay Beach, Bermuda Islands. Posted in Holiday Greetings, Ocean and Seas, Uncategorized. One of the most effective ways to prevent future damage on the coastal areas of any island anywhere in the world is by planting mangroves on the coastlines. There are 7,641 islands in the Philippines and each one faces a different challenge every time there is a storm and much worse, if there is a storm surge. 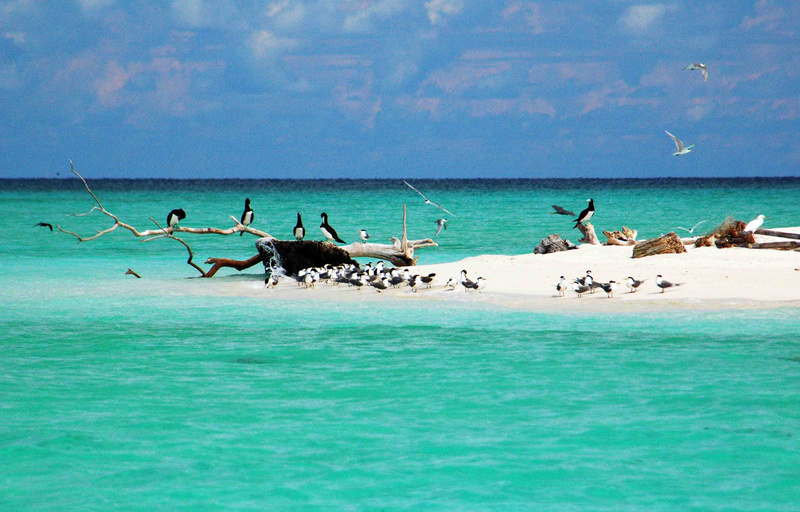 In some areas like Suyac Island, the damage caused by past typhoons and storm surge had been minimal. Unlike Typhoon Haiyan or Typhoon Yolanda which left an unimaginable damage to the island of Leyte and other parts of the Visayas in the Philippines, Suyac was spared of this catastrophe. The locals reasoned out that they were not greatly affected by the Typhoon Yolanda because of the hundred years old Mangrove Trees that were abundant on the island’s coastline. The strong wind and the strong current of sea water are prevented from lambasting the island because the Mangroves served as a buffer. Who’s Benefiting From Gold Mining Industry? Have a snippet into one of the secrets of gold mining activity in the Philippines. Who benefits? Who loses? Is this acceptable? Be the one to judge. Just click the link to read the entire story. Reference: R.D. Tiglao of The Manila Times. Posted in Mining Industry, Uncategorized. This holiday season, we wish you a joyous celebration wherever you are in the world. Our prayer is for everyone to live in peace and harmony with all the creatures of the planet. Seems not plausible in some instances but we keep a positive mind that many things can happen when people gather together to celebrate peace and instill peace in their lives. Here’s a unique version of the song The Prayer featuring Marcelito Pomoy, a Filipino Champion of Pilipinas Got Talent. Posted in Holiday Greetings, Uncategorized. According to the Wikipedia, the convention was developed and adopted by participating nations at a meeting in Ramsar, Mazandaran, Iran, on February 2, 1971, hosted by the Iranian Department of Environment, and came into force on December 21, 1975. The Ramsar List of Wetlands of International Importance now includes 2208 Sites (known as Ramsar Sites) covering over 210,734,269.41 ha (520,735,720.3 acres). The country with the highest number of Sites is the United Kingdom at 170 and the country with the greatest area of listed wetlands is Bolivia, with over 140,000 km2 (54,000 sq mi). 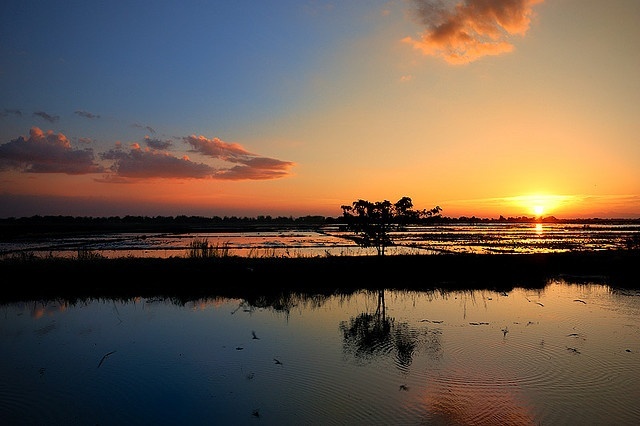 The Ramsar definition of wetlands is fairly wide, including “areas of marine water the depth of which at low tide does not exceed six meters” as well as fish ponds, rice paddies and salt pans. Presently there are 169 contracting parties, up from 21 initial signatory nations in 1971. The state parties meet every three years as the Conference of the Contracting Parties (COP), the first held in Cagliari, Italy in 1980. Amendments to the original convention have been agreed to in Paris (in 1982) and Regina (in 1987). There is a standing committee, a scientific review panel, and a secretariat. The headquarters is located in Gland, Switzerland, shared with the IUCN. The 2016 International Wetlands Day adopted the theme: Wetlands For Our Future Sustainable Livelihoods. Source: en.wikipedia.org/wiki/Ramsar_Classification. The poster tells a story. From the mountains to the sea, the wetlands work for humanity – their beauty, diversity, utility. As providers of livelihood opportunities for people in the area and as habitat for plants and animals of diverse types and classes, the Wetlands need protection to make it sustainable, not only for the present but also for the future generations. So, to better appreciate this day, let us begin by discussing what wetlands is all about. Wetlands also include fish ponds, rice paddies, salt pans, marsh, bog, swamps, morass, quagmire, muskeg, slough, fen, fenland, bayou, and bogland, among others. 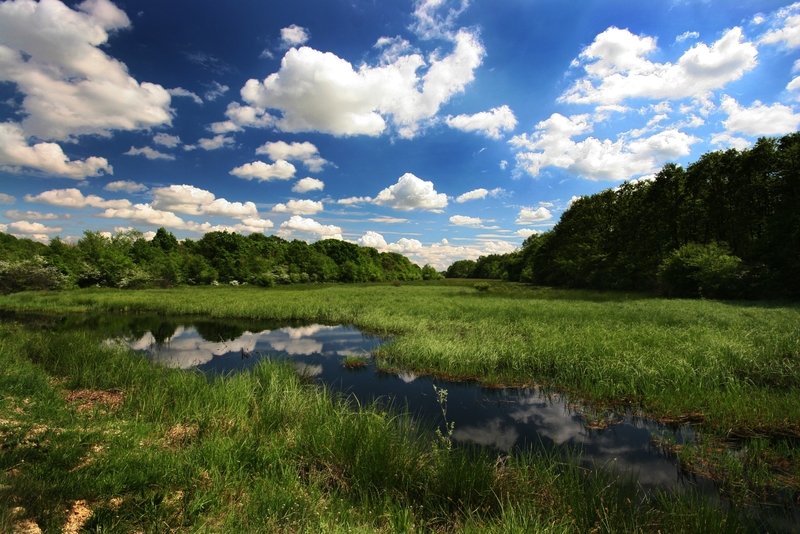 Wetlands are areas where water covers the soil or is present either at or near the surface of the soil all year or for varying periods of time during the year, including during the growing season. Water saturation (hydrology) largely determines how the soil develops and the types of plant and animal communities living in and on the soil. Wetlands may support both aquatic and terrestrial species. The prolonged presence of water creates conditions that favor the growth of specially adapted plants (hydrophytes) and promote the development of characteristic wetland (hydric) soils. What are the Components of Wetlands? The US Environmental and Protection Agency stated the following as components of wetlands. Tidal wetlands in the United States, as their name suggests, are found along the Atlantic, Pacific, Alaskan and Gulf coasts. They are closely linked to our nation’s estuaries where sea water mixes with fresh water to form an environment of varying salinities. The salt water and the fluctuating water levels (due to tidal action) combine to create a rather difficult environment for most plants. Consequently, many shallow coastal areas are unvegetated mud flats or sand flats. Some plants, however, have successfully adapted to this environment. Certain grasses and grasslike plants that adapt to the saline conditions form the tidal salt marshes that are found along the Atlantic, Gulf, and Pacific coasts. Mangrove swamps, with salt-loving shrubs or trees, are common in tropical climates, such as in southern Florida and Puerto Rico. Some tidal freshwater wetlands form beyond the upper edges of tidal salt marshes where the influence of salt water ends. Certain types of inland wetlands are common to particular regions of the country. A full list can be found here. Functions & Values of Marshes, Swamps, Bog, Fens, others. Functions & Values of Non-Tidal Marshes and other non-tidal wetlands. What is the importance of wetlands? “Wetlands are important features in the landscape that provide numerous beneficial services for people and for fish and wildlife. Some of these services, or functions, include protecting and improving water quality, providing fish and wildlife habitats, storing floodwaters and maintaining surface water flow during dry periods. These valuable functions are the result of the unique natural characteristics of wetlands. Hereunder is the link to U.S. EPA on the discussion that focuses on restoration and conservation. Another link stated below refers to the Wetlands Monitoring and Assessment. Observation/Remark. To ensure success in the protection and conservation of wetlands, there is a need for community involvement. Hereunder, a link is provided for you to get some ideas on how a community gets involved in the protection and conservation of their wetlands. This refers to Volunteer Monitoring. It also discusses the importance of community volunteers to monitor the different species of fishes and other animals that make the wetlands their habitat and how they can also be protected. 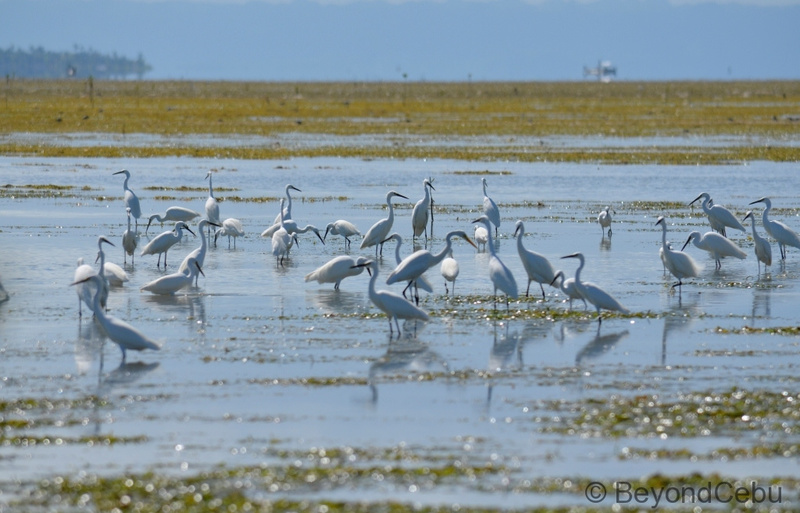 Wherever you are situated, your country’s wetlands are an important part of your environment. In it, lies the different species of fishes, wildlife, endangered species of plants and other animals that contribute to a balanced eco-systems. As previously mentioned, the wetlands have enumerable benefits not only to the soil and living organisms that make it their habitat but more importantly to people who benefits from many resources that the wetlands produce. As an income generator or livelihood provider, the Wetlands must be protected and conserved so that eco-tourism, fishery, food production, natural beauty of the locality and sustainable development, as a whole, can be achieved. 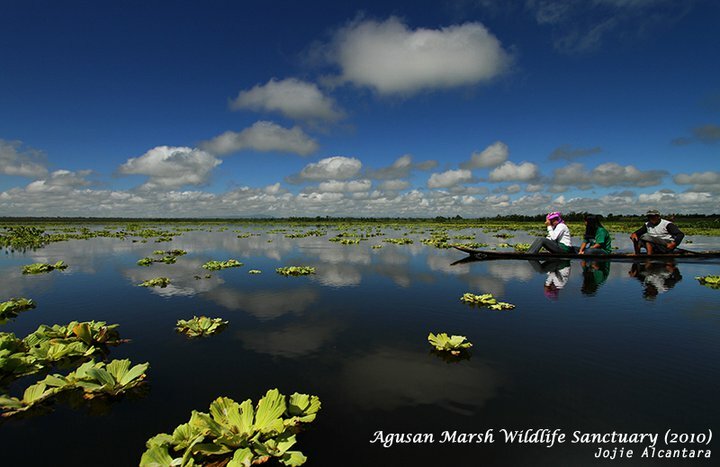 For the local community, specifically in Asia and the Philippines, the following programs and projects can be considered to protect and conserve the Wetlands. a) Survey the existing wetlands in your community; b) Identify its inhabitants such as fishes, turtles, birds and other animals, kinds of grasses and other forms of life that depend its existence upon this wetland; c) Identify the different uses of the wetland such as fishing, food production, eco-tourism and many others; d) conduct a strategic planning workshop to identify the existing situation of the wetland, its prospects for the future, the ways and means to achieve and reach this future, and strategies and approaches to its sustainable development; e) Identify and motivate the support of the local community by organizing a group of Local Volunteers for the protection and conservation of the wetland; f) Design a Sustainable Development Plan for the Wetland in cooperation with local community, the local officials, the government, and civil society; g) the local Environment Office should take the lead in organizing a Technical Working Group or a Committee that should implement, monitor, evaluate and sustain all activities. You can adopt this motto to make your work effective – “Act locally and think globally” to protect and conserve a more sustainable wetland. If everybody does it locally, imagine what will the effects be to the world because of this local and then global activities. It is immensely great. Right? Las Pinas-Paranaque Critical Habitat and Ecosystem Area. Other sources mentioned Naujan Lake National Park at Oriental Mindoro. Here is the photo from chendelmundoMD’s site. 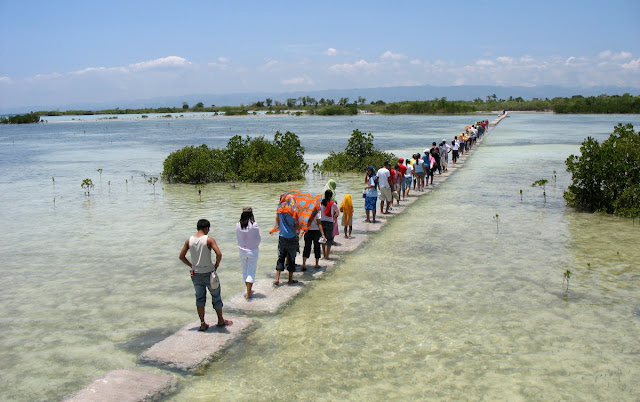 The Philippine government, the Local Government Units such as the Provinces, Cities and Municipalities are actively involved in the forefront as leaders in the conservation and protection of these wetlands. In closing, Earthniversity would like to emphasize that there are other activities that the community can think of, implement and monitor in order to achieve the local goals of protecting and conserving the Wetlands. Earthniversity would like to acknowledge its various sources of information in coming up with this discussion. All sources of materials such as texts and photographs used here have been individually cited. Thank you to you all. Earthniversity does not own these ideas but cites the different sources of information to come up with a more organized presentation regarding the Wetlands and how the people in the community can help to protect and conserve these Wetlands. We hope this will be helpful to you. Have a nice day. Posted in Aquatic Marine Resources, Biodiversity, CLASSROOM, Earth, Inland Waters, Soil, Uncategorized, Water Resources Management, Wetlands.